Background: Many studies have shown that music experience is the key to develop future therapies in order to prevent the development of cardiovascular disorders. Aims: The present study aimed to evaluate the effects of heart rate variability (HRV) on exposure to Indian raga Bhupali with that of two control groups of pop music and no music or silence in a sample of healthy subjects. Materials and Methods: Autonomic functioning, anxiety level, and subjective feeling were assessed in 28 healthy subjects, both male and female [group mean age ± standard deviation (SD), 19.68 ± 2.57] during three sessions. The three sessions were the musical session intervention with the Indian raga Bhupali, pop music with steady beats, and "no music session." Assessments were made before (5 min), during (10 min), and after (5 min) in each of the three states on 3 separate days. Results: During the Indian raga, there was a significant decrease in the low frequency (LF) power (P < 0.01) and increase in the high frequency (HF) power (P < 0.01) in the frequency domain analysis of the HRV spectrum. There was also a significant decrease in the mean heart rate (HR) (P < 0.01) and a significant increase in the NN50 (P < 0.05) and RMSSD (P < 0.05) in the time domain analysis of HRV. Both frequency and time domain measures are indicative of parasympathetic activity. The anxiety level significantly (P < 0.001) decreased post the Indian raga session and significantly (P < 0.01) increased post the pop session. The subjective assessment of perceived feeling using the visual analog scale (VAS) comparing Indian raga with pop and silence sessions showed a significant difference of feeling positive (P < 0.01). Conclusions: Exposure to the Indian raga Bhupali reduced sympathetic activity and/or increased vagal modulation with reduced anxiety levels and subjective assessment of perceived feeling showed positive changes. 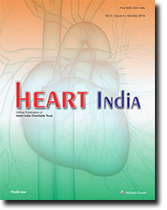 We report a rare case of benign cardiac tumor - atrial myxoma - who completely recovered after surgery. Ellis-van Creveld (EVC) syndrome is a rare genetic abnormality characterized by a tetrad of chondrodysplasia, ectodermal dysplasia, polydactyly, and congenital heart disease. Common atrium is an uncommon cardiac malformation, and yet it is commonly found in patients with EVC syndrome. This rare condition is inherited as an autosomal recessive trait. 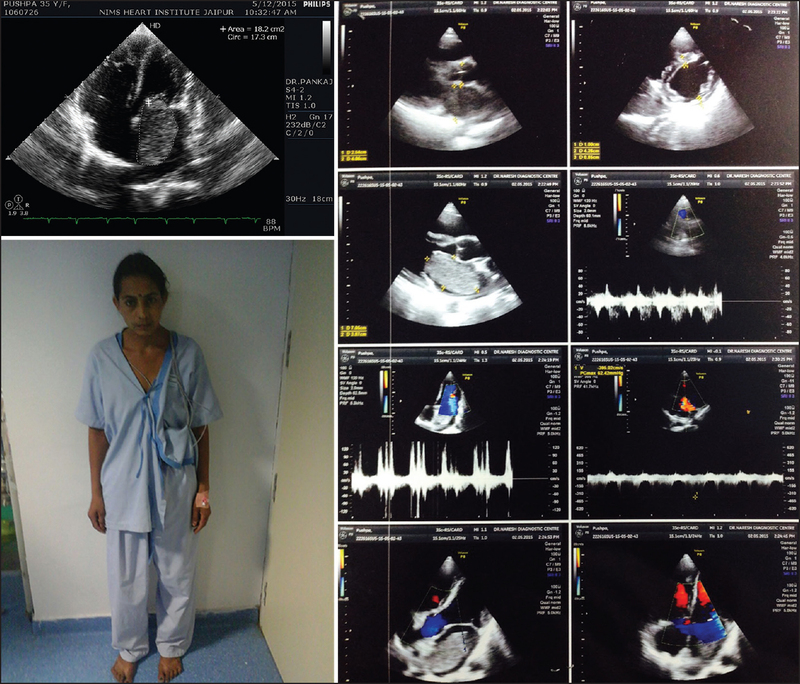 This report describes a case of common atrium with unusual electrocardiographic findings in a patient with EVC syndrome. This 17-year-old male of Indian origin born of a consanguineous marriage had short stature, genu valgum, polydactyly, gingival hypertrophy, multiple frenula, common atrium, and right axis deviation of QRS with clockwise depolarization in electrocardiogram. 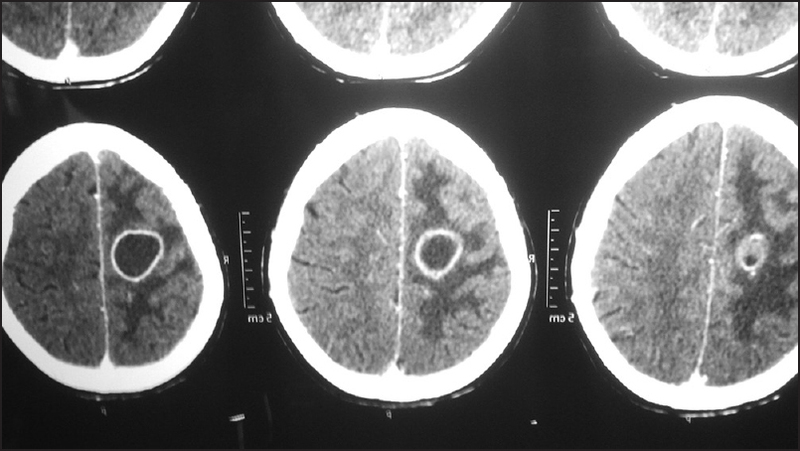 A 40-year-old female presented with prolonged fever and new-onset seizures. On examination, she was found to have florid peripheral manifestations of infective endocarditis (IE), namely skin petechiae, subconjunctival hemorrhages, Janeway lesions, Osler nodes, and splinter hemorrhages. This helped in early, focused investigation and diagnosis of IE. Peripheral manifestations of subacute IE are rare in the current era of clinical practice owing to early diagnosis and treatment. 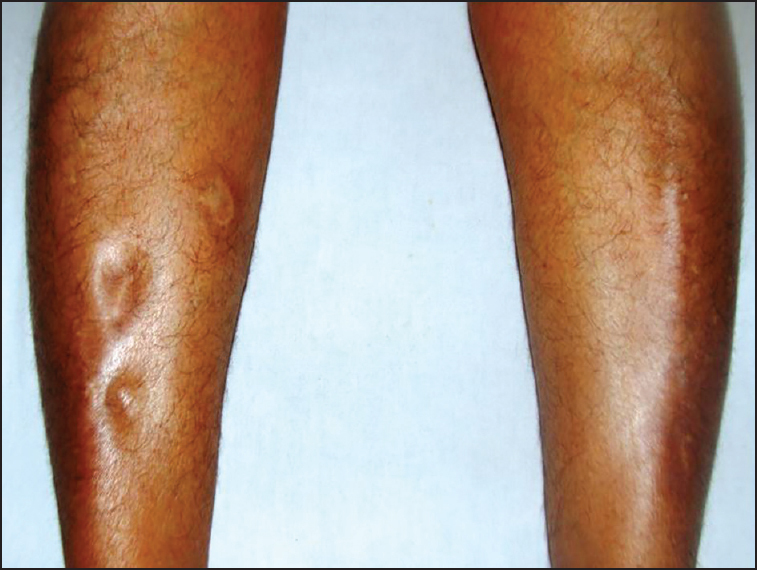 We present a case where multiple peripheral signs were identified in the same patient. Anomalies of the coronary artery are often asymptomatic and uncommon. Double right coronary artery (RCA) is a very rare coronary anomaly. So far, the number of reported cases of double RCA is not many. 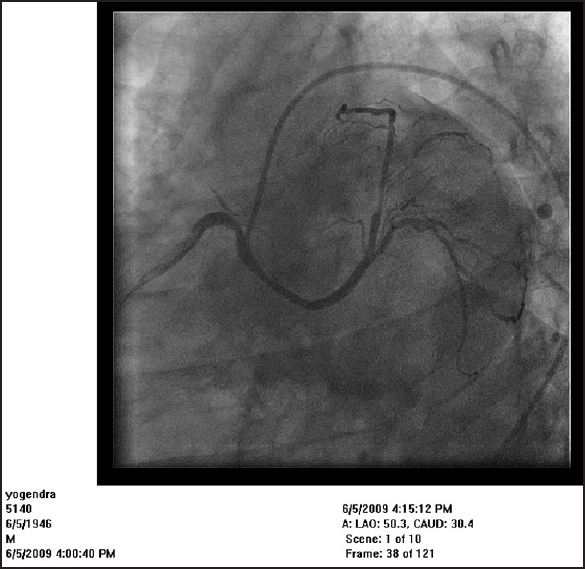 Nevertheless, there have been several reports of double RCA in the literature, particularly in the last decade. We aim to present a similar case. Multidetector computed tomography (CT) is becoming an alternative method for the diagnosis of coronary artery anomalies. We present the multidetector coronary CT angiography findings from a patient with RCA duplication. Two right coronary arteries originating from two separate ostia of the right aortic sinus were observed. Although statistically people with dextrocardia and situs inversus totalis have fewer chances of any congenital cardiac abnormalities; however, its association with tetralogy of fallot (TOF) and patent ductus arteriosus is reported only rarely and can present technical challenges to intracardiac repair. This combination of anomalies is extremely unusual. 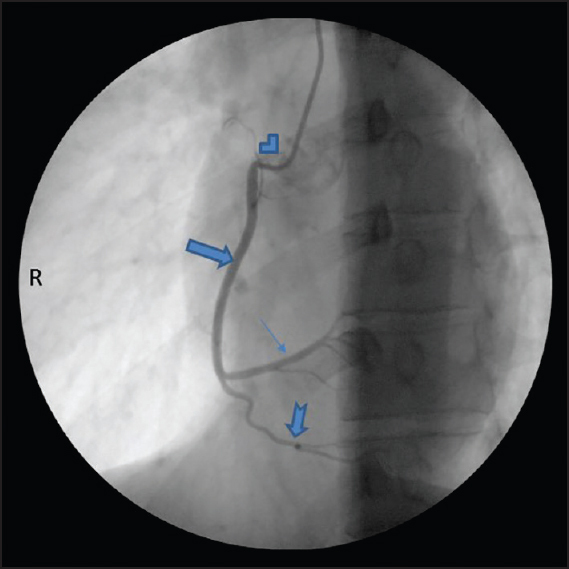 We report a case of successful surgical treatment of TOF with dextrocardia and situs inversus totalis in a 35-year-old male, and describe the patient's postoperative course, and review the surgical literature relevant to these combined conditions with unbelievable presentation history. Iodinated contrast material (ICM) can rarely cause sialadinitis. 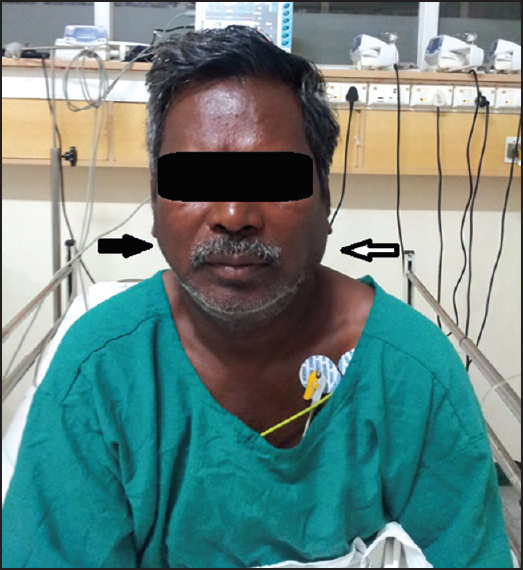 Here we report a case of unilateral parotitis following coronary angioplasty, which subsided with conservative management. He also had a past history of similar illness following previous angiogram. 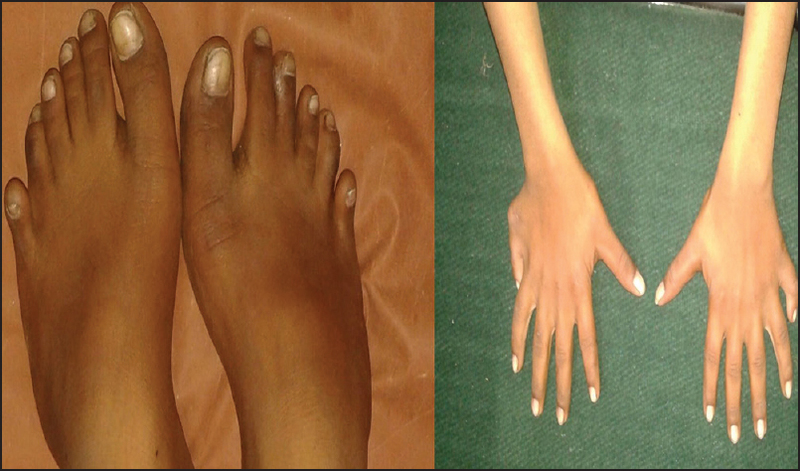 Direct toxic effect of the contrast material or idiosyncratic reaction has been considered as the possible etiology. Deep vein thrombosis (DVT) is a rare but potentially serious complication of coronary angiography (CAG), incidence being just 0.05%. Only a few clinical cases of DVT after diagnostic transfemoral catheterization have been reported. Here, we describe the case of a 54-year-old woman who developed significant DVT after CAG without venous thromboembolism (VTE) and, which was treated with anticoagulants.